Not on that one Kyn but I snipped it cos its got the hospital on. 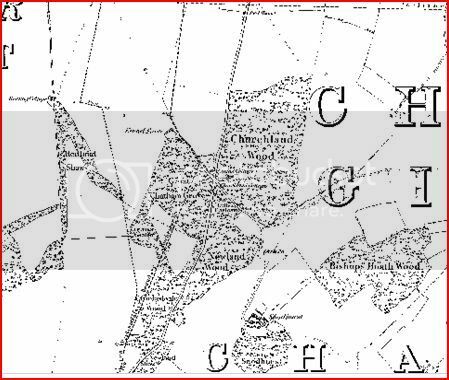 The 1869 map shows that an area of woodland around The Ridgeway and the cross roads was then called Churchland Woods - a clue? Following the curve at the botom of the map clip leads to Horsted. Thank you, still no neaer to finding the Chapel, is it marked on the map RWTA? Painting at All Saints Frindsbury. As far as I know, Horsted Farm was once almost opposite where the Aircraft is now standing at the airport .There's still the framework of a small barn in the field opposite, so far I haven't found an old map showing that OR what might have been the chapel, must be looking at the wrong maps ?? I do remember cattle being in that field at one time but can't remember when the farm closed now. Last map I looked at showed Lower and Upper Delce with plenty of trees either side of the narrow lane it once was, and showing Horsted at the very top but nothing showing of a chapel ? Is there still a Horsted Farm ? Unless it's actually in the grounds of the hospital, only they demolished all the old one for the Hospice and built new houses, can't see any sign on GE. I hope it hasn't, could it be in the rough ground as you approach the hospital? Well I've lived opposite St Williams Hospital for years and have never seen any sign of the shrine at all sadly, be very interesting to know where it is, probably disappeared when they built the houses. 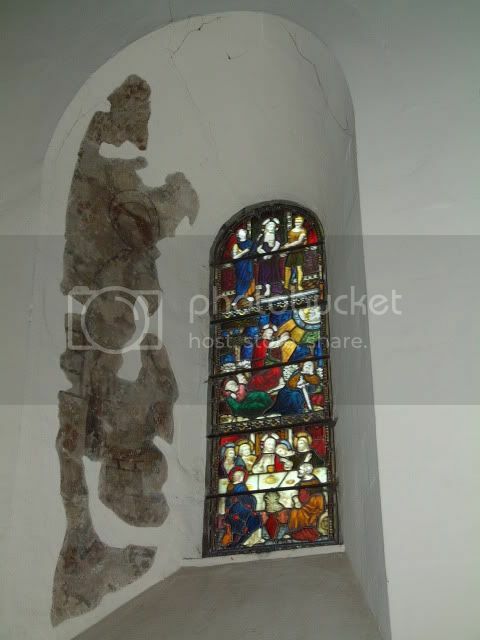 St. William is represented in a wall-painting, which was discovered in 1883 in Frindsbury church, near Rochester, which is supposed to have been painted about 1256-1266. In 1256 the Bishop of Rochester, Lawrence de San Martino (Lawrence of St Martin; r. 1251-1274), obtained the canonization of St. William by Pope Innocent IV. A beginning was at once made with his shrine, which was situated first in the crypt, then in the northeast transept, and attracted crowds of pilgrims. At the same time a small chapel was built at the place of the murder, which was thereafter called Palmersdene. Remains of this chapel are still to be seen near the present St. William's Hospital, on the road leading by Horsted Farm to Maidstone. Anyone seen the remains? I can't find anything on the internet or aerial mapping sites.